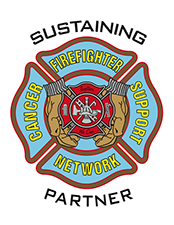 Exposure to cancer-causative agents in firefighting likely occurs on the fireground as well as in the aftermath of firefighting activity, particularly if clothing is not cleaned. 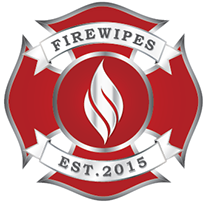 Firefighters often complain that following a working structural fire, their work uniforms, underclothing, hair and even their skin can continue to smell like smoke, sometimes even after repeated showers. The fact is that fire smoke, which consists of particles, easily penetrates into the clothing ensemble. The problem is the unburned carbon that makes up the bulk of those particles, since the irregularly shaped, highly porous carbon particles adsorb and can continue to carry toxic fire gases that evolve from the combustion process. While the overall smoke can be seen, the particles are actually quite small, most having a diameter less than a fraction of a micron (approximately one hundred-thousandth of an inch). It is no surprise that these particles can enter clothing and become lodged on the firefighter’s skin and inner clothing. While the moisture barrier layers used in garments, gloves and footwear will prevent even particles of this size from infiltrating the clothing, various openings, closures and gaps provide penetration pathways into the ensemble. To show how firefighters can be contaminated by smoke, the International Association of Firefighters (IAFF) commissioned full-ensemble particle exposure testing at Research Triangle Institute (RTI) in early January 2015. This evaluation involved a “used” turnout clothing system, configured with an SCBA and worn by a test subject in a particle-laden chamber. The evaluation was performed per the Department of Defense-based Fluorescent Aerosol Screening Test (FAST) procedures whereby the individual was subjected to a high-level concentration of silica powder particles tagged with a fluorescent tracer, with the particles ranging in size from 0.1 to 10 microns. The test subject performed a variety of movements over the course of a half hour while particles were blown through the chamber at 10 mph. Following the exposure, the exterior of the garment was then wiped down and the ensemble carefully removed to avoid exterior particle transfer to the interior. Ultraviolet-light photography of the individual without the ensemble before the chamber exposure and after the exposure provided a means for detecting where inward leakage of particles occurred. The following pictures show the test and where the infiltration of particles was observed; the full test report is available upon request (RTI project number 0212534.112 dated January 7, 2015). Figure 2 UV-light photographs showing before and after particle exposure for the right side of the test subject’s head and neck; bright yellow areas show where particles penetrated the ensemble. Figure 3 UV light photographs showing before and after particle exposure for the test subject’s upper torso and arms; particle penetration occurred at wrists, hands, waist, and center chest. Figure 4 UV-light photographs showing before and after particle exposure for the front of the test subject’s legs; particle penetration occurred above the boot line. These results are extremely significant because they confirm that a large amount of exposure occurs to the vulnerable face and neck area that is not protected by the SCBA facepiece. The photographs also show that particles entered the garment through the front closure and between the coat and pant interface to a less significant extent. Low levels of particle penetration were also observed at the glove-to-coat-sleeve interface, but relatively surprising was the intensity of fluorescence on the calves above the boot line despite the extensive overlap between the pants and boots. What these pictures show is what we have always known to be true, but never really cared to admit — that smoke easily penetrates clothing, primarily at interface areas, and serves as a pathway for firefighter exposure on the fireground. This evidence compels the fire service to seriously examine the way it practices hygiene following a fire, such as performing gross decontamination of gear at the scene, taking a shower as soon as possible following a structural fire, as well as changing hoods and gloves and subjecting all gear to full cleaning. The pictures also provide motivation for the fire service industry to rethink approaches for addressing interfaces and to develop clothing systems that create the least encumbrance while still achieving some attenuation of particle infiltration. It is one thing to write and speak about firefighter exposures, but it is an entirely different matter when pictures can tell you a truth about exposure that cannot be ignored.